PM Netanyahu issues another call for Jewish Home and Otzma Yehudit to unite. 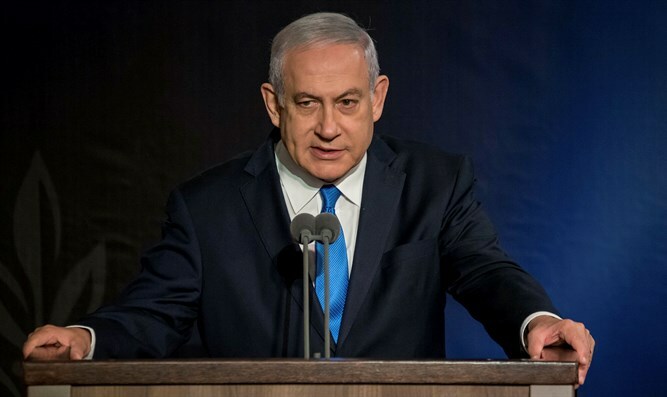 Prime Minister Binyamin Netanyahu on Tuesday evening issued another call for the Jewish Home and Otzma Yehudit to unite. "The heads of the Jewish Home, the National Union and Otzma Yehudit - if you do not unite, you will not pass the threshold, the right wing will lose and Gantz will form a leftist government with the support of the Arab parties,” he warned. “Right-wing voters expect you to show responsibility and unite. Do not disappoint them and do not endanger the land of Israel,” added Netanyahu. Jewish Home chairman Rabbi Rafi Peretz responded sarcastically to Netanyahu’s call. "Only a strong Jewish Home will preserve the land of Israel and leave Netanyahu loyal to the values of the national camp. The prime minister should stop worrying about mandates on the right and start dealing with the Trump plan which is around the corner," Peretz tweeted. "Netanyahu must take care of what really matters to the right-wing bloc: removing the infiltrators, evacuating Khan al-Ahmar, canceling the dictatorship of the Supreme Court, increasing deterrence against terrorism, promoting sovereignty in Judea and Samaria and strengthening governance in the Negev and the Galilee," he added. Earlier, it was reported that a meeting between representatives of Otzma Yehudit and representatives of the Jewish Home-National Union ended without agreement. Arutz Sheva learned that at the meeting, representatives of Otzma Yehudit were offered spots 5 and 8 on the list as a technical bloc on a united list. It was also suggested to Otzma that if the list wins seven seats, the Norwegian law will be implemented and a representative of Otzma who will be placed in the 8th spot on the list will enter the Knesset. Otzma Yehudit, for their part, demanded spots 4, 8, 5 and 7, and refused to compromise on this demand. Meanwhile, senior Jewish Home officials are working to thwart any possibility of reaching an agreement on a joint run with the Otzma Yehudit party and the internal pressure within the party on this issue is growing.